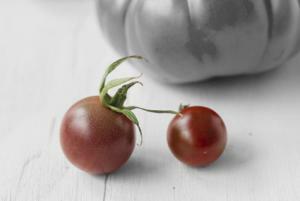 Heirloom tomatoes are those that have been passed down from gardener to gardener for generations, rather than bred by modern plant breeders for commercial purposes. 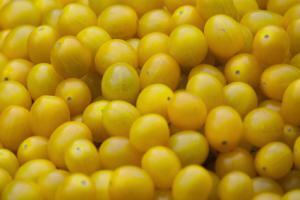 They are known for their rich flavor palate, stunning array of colors, and their adaptability to the unique local environments where they originated. Though there is a tremendous diversity of tomato varieties under the heirloom classification - over 10,000 types have been recorded - there are several particular characteristics associated with them that are helpful to know about before you start planting. 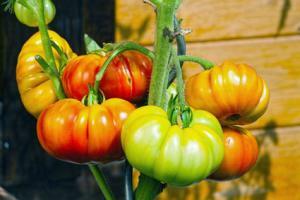 The great thing about heirlooms is there seems to be at least a few varieties that hail from almost every area of the country, and just as many that are widely adapted to multiple climatic regions. A great way to start is by talking to experienced gardeners in your area to find out which varieties they have success with. However, most seed companies and catalogs offer a decent selection of the heirloom varieties that have risen to the top of the field and are now widely planted. 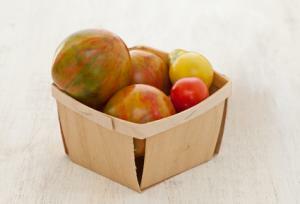 These include Cherokee Purple, Brandywine, Black Krim, Yellow Pear, Amish Paste, Sun Gold and German Giant. These run the gamut from tiny cherry size fruits that are a fun snack to pop in your mouth whole to enormous varieties that weigh a pound or more. 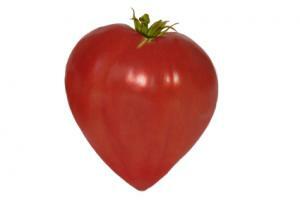 One common misconception is that heirloom tomatoes are more disease resistant than modern hybrids. Often, the opposite is true as many modern varieties have disease resistance bred into them. A key to keeping the pathogens under control is to space the plants widely to allow for ample air flow between them. Heirlooms haven't been bred for a compact size either, meaning an individual plant can be four feet wide and eight feet tall by the end of the growing season. Plan accordingly, and space your seedlings four feet apart at planting time. 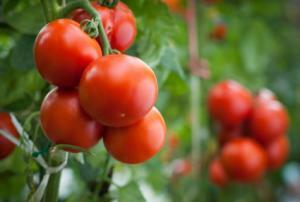 It's wise to plant a few different varieties to see what does well in your garden in terms of disease resistance, as well as to enjoy the full range of types, which include sandwich and salad tomatoes of every shape, size and description, as well as varieties the are intended for canning. Plant seed indoors six to eight weeks before the average date of last frost in your area. Prepare the soil before planting with compost and bone meal. Bury two-thirds of the stem when planting to encourage a strong root system. However, there is one tip that applies specifically to heirlooms. 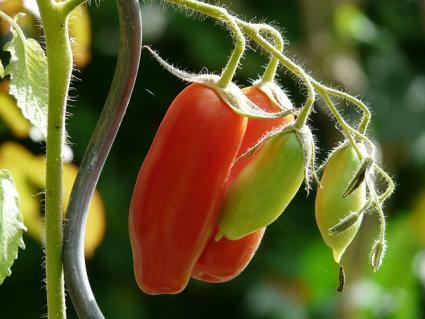 For example, don't bother with the standard tomato cages from the garden center - they are meant for compact hybrid plants and are insufficient to support massive heirloom plants. There are many alternative trellis systems, just make sure they can support the weight of the plant when laden with fruit and are at least four feet tall by two feet in diameter - six feet by three feet is preferable for the larger varieties. One easy technique is to make a circular cage of wire fencing, staking it to the ground with U-shaped irrigation stakes. Use fencing with large spaces between the wires so you can stick your hand through to prune the plants and harvest the fruit. 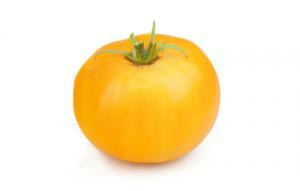 Success with heirloom tomatoes is all about how well they are maintained as they grow and develop fruit. It's very helpful if water doesn't splash up from the ground around the plants during heavy rains. A simple straw mulch is an easy way to prevent this and also helps to maintain even moisture levels and keep weeds under control. You can layer it on up to six inches deep, as it will compress to less than half that amount over time. Some growers, especially in cool areas, use a black plastic mulch as it warms the soil, dramatically improving growth in the early part of the growing season. In addition to maintaining good air circulation, keeping the leaves dry is the other key ingredient to keeping the fungal blights that affect most heirloom tomatoes under control. Thus drip irrigation or soaker hoses are highly recommended under the mulch, though you can simply flood irrigate at ground level using a hose or watering can and achieve the same results. Also, resist the urge to water too much. 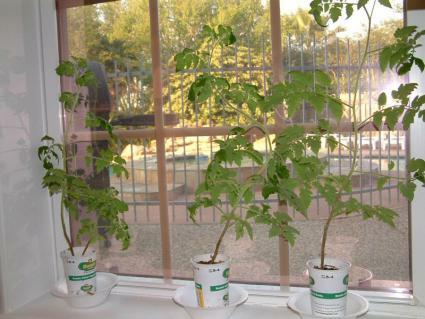 Once the root system is established, they need surprisingly little water for being such big lush plants and you will be contributing more to the growth of disease organisms than to the growth of the tomatoes. 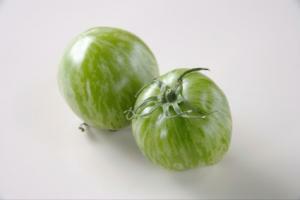 Over watering also makes for watered down tomato flavor and causes the fruit to split open, which heirlooms are especially prone to. Once the plants are growing vigorously, it's fine to let the top three inches of soil get completely dry under the mulch before watering. Many heirloom tomato varieties grow too prolifically for their own good, meaning they need some management to keep their vegetative growth in check for the sake of plant health and fruit quality. 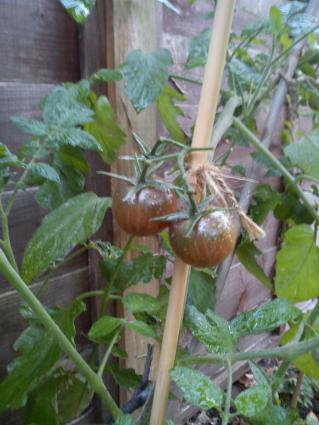 There are many theories about how to train tomato plants, but large heirloom varieties are usually maintained with single leader stem that is attached to a wooden stake. If using the wire fence cage method, this stake would be at the center of the cage and the side branches would be supported by the cage itself. Use twine to loosely tie the stem to the stake, leaving room for it to grow in diameter without being constricted. As the plant grows, prune off any new sprouts that emerge from near the base to favor the side branches that are producing fruit. These extra vegetative shoots rob energy from the developing fruit and make the plant bushier, reducing air flow and favoring fungal diseases. Novice growers often think that the best heirloom tomatoes are perfectly ripened on the vine, but that's not necessarily the case. They tend to split open and begin to have rotten places if allowed to ripen completely on the vine. 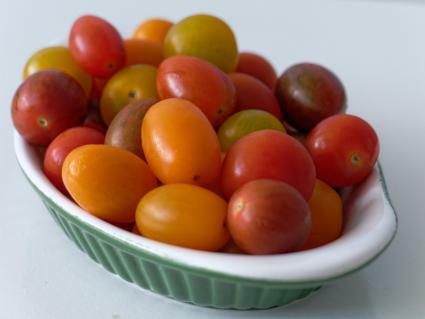 Instead, when they are starting to color up, go ahead and bring them inside to the kitchen window - tomatoes are fully capable of continuing to ripen this way without compromising anything in terms of flavor and texture. 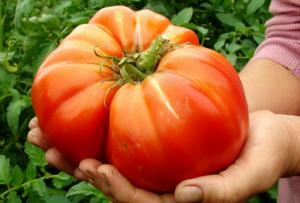 One of these heirloom options is a great way to get started with growing tomatoes in your own garden. 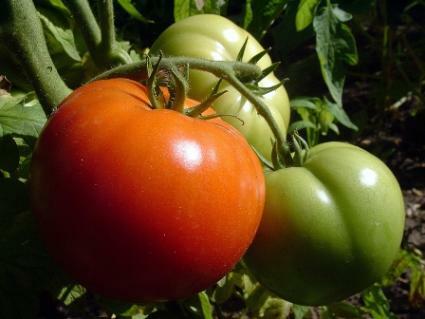 Information on climatic adaptability is included for growers who live at the fringes of tomato territory - excessively hot climates, places with cool summers, and northerly regions with short growing seasons. 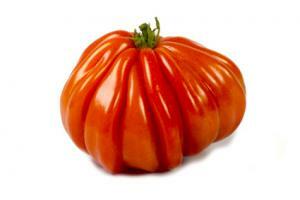 Growing heirloom tomatoes is not just about enjoying a tastier version of their bland supermarket cousins. It's about the culture of gardening, of participating in the selection of plant material that is place-based, rather than mass produced.